In the seventh message Pastor Paul talks about how God shows up in his own very specific way. In the sixth message Pastor Paul discusses the topic of miracles. In the fifth message Pastor Paul talks about how God notices you and will show himself to you in a way that’s personalized for you. In the fourth message Pastor Paul takes about the power of healing. In the third message Pastor Abel talks about the power of healing. In the second message Pastor Paul takes an in-depth look at the 7 miracles in the book of John. 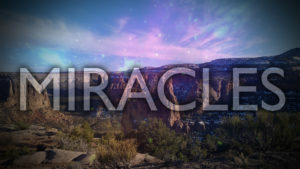 In the first message of our Miracles series, Pastor Paul helps us understand the daily miracles in our life.